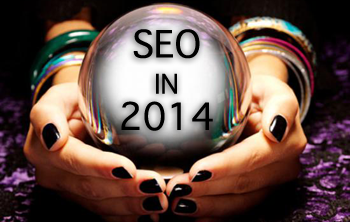 SEO is a pretty dynamic industry, and gets out-dated easily each year. It constantly gets refined and improved, incorporating the latest usage trends into search. SEO experts have to constantly readjust and re-analyze their strategies. According to Moz, there have been as many as 83 major search algorithm updates since 2011. That's almost 2-3 updates every month. This year is at an end as well, so we'd like to take this opportunity to look back at what changed in SEO in these last 12 months. Let's take a look some of the SEO highlights from this year. January; Expedia was the first big brand to get reportedly hit by a penalty for unnatural link building, effectively losing 25% of its search engine visibility. This was the time when Google announced that guest blogging is a no-go, and people using this strategy for link building should stop. This was also when Google announced a new Googlebot user-agent for crawling mobile content, and “Googlebot-Mobile” was retired in place of the standard Googlebot. February; Google search became 100% secure (https), this cutting off keyword data used by SEO experts. March; Google never confirmed an update, but SEO experts noted a heavy increase in Google’s index volatility, indicating an update of some sort. Google also redesigned its SERPs for desktop, with most of these changes having to do with aesthetics. April; The notorious Heartbleed bug happened, which exploited an SSL security loophole to effect millions of websites. May; Google rolled out Panda 4.0. Large websites such as Ask.com and eBay got effected. eBay lost $200 million in revenue. June; Google removed authorship photos from search. Google I/O conference also happened, where Google announced new developments, primarily in its Android platforms. Android Wearables! July; Google released the local search algorithm known as Pigeon. This update drastically changed which factors Google looks at when determining local rankings, including stronger ties to traditional web ranking signals. Matt Cutts, chief of web spam team at Google, took a leave. August; Google announced that it would begin using HTTPS as a ranking signal, encouraging everyone to move from HTTP to HTTPS. Also, one of the biggest news was Google killing its Authorship program once and for all. September; Searchmetrics released their 2014 SEO Ranking Factors. High quality content, strong page architecture, and user signals saw the biggest increases in affecting ranking, while keyword links and social signals both decreased in value. October; Google finally refreshed Penguin. This was noteworthy because it meant that everyone who was hit by the last Penguin and submitted a reconsideration request could finally get the opportunity to be reinstated into Google’s good graces. Microsoft laid off Duane Forrester, Bing’s longest-serving face to the SEO community, not to mention the darling of the industry, having just won Search Personality of the Year. Matt Cutts, who was to return in October, decided to extend his leave 'til 2015. November; Google ditched its Local Carousel for hotels, restaurants, nightlight and entertainment. Mobile became much more important to SEO as Google rolled out the mobile-friendly search label for mobile search results and a mobile friendly test tool in Google Webmaster Tools. This was the beginning of Google experimenting with a new ranking algorithm for mobile friendly sites. December; Bing released its version of Panda, and did a great job at outlining what it actually considers quality content.